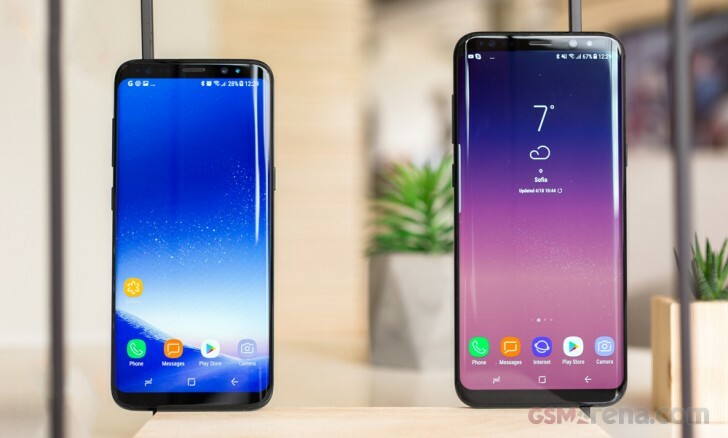 There’s no doubt that the Samsung Galaxy S8 and Galaxy S8+ were the shining stars of the year and many have deemed it “the best smartphone that money can buy”. Despite all the praise the S8 duo got, one huge issue that hadn’t been directly addressed is the constant stutter and lagging of the UI on the Galaxy S8. While it isn’t apparent when first setting the phone up, it definitely becomes more apparent over time as more apps are installed and services become active; all this, despite the Galaxy S8’s latest Qualcomm Snapdragon 835. Today, Samsung has released an update to Samsung’s stock launcher called “Samsung TouchWiz Home”. The release notes in the update mentions a fix for “the lag issue when swiping up and down to switch between the home and app screens.” In addition, the update also improves the visibility of app labels, particularly while using a predominantly white background. Our hope is that Samsung begins to address more of the 'jankiness' that plagues the Samsung Experience UI. And if you accidentally press the Bixby key, forget about that snapshot of your kid you were trying to get. Samsung, if you’re reading this, please give us an option to make the Bixby key a press-and-hold affair. It would soften the aggravation that many S8 owners are facing. Do you have an S8? Is there any particular place where lag needs to be addressed? Also make sure to mention if you’re using a Snapdragon or Exynos version of the phone. It's the money which makes the Galaxy 7/8 appear so popular, not their blueish screens or the bloatware or their keyboard which calls home.